Do you have a BRAVO Cucina Italiana near you? Check! Through Feb 28 they have an absolutely incredible deal that you really do not want to miss out on. Starting at just $11.99, the “Two Is Better Than One” combo includes an entree, plus a choice of soup or a side salad. It is offered at lunch and dinner, seven days a week, at BRAVO locations nationwide. I had the opportunity to go and check out their “Two is Better Than One” options and I can guarantee you I will be heading back with the rest of the family too. It was just SO good! 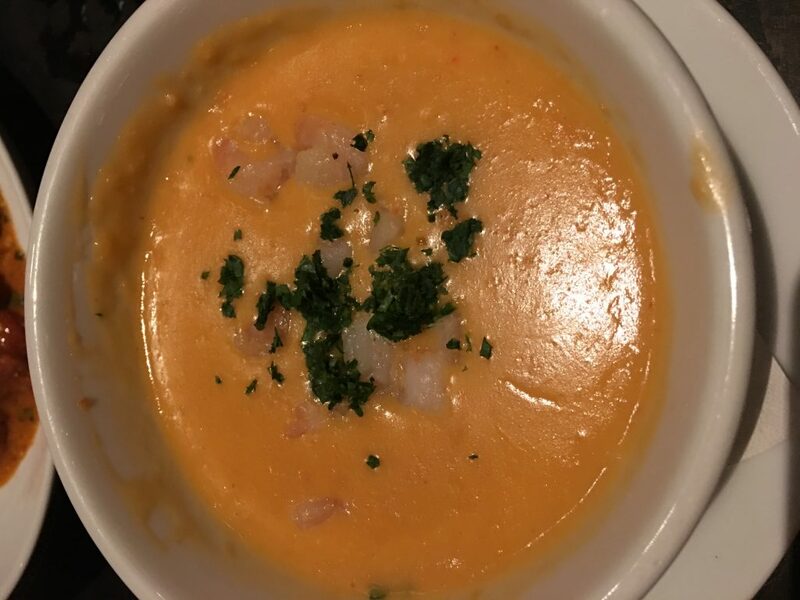 Of course, I picked the Lobster Bisque when I went…. SO incredibly tasty!!! 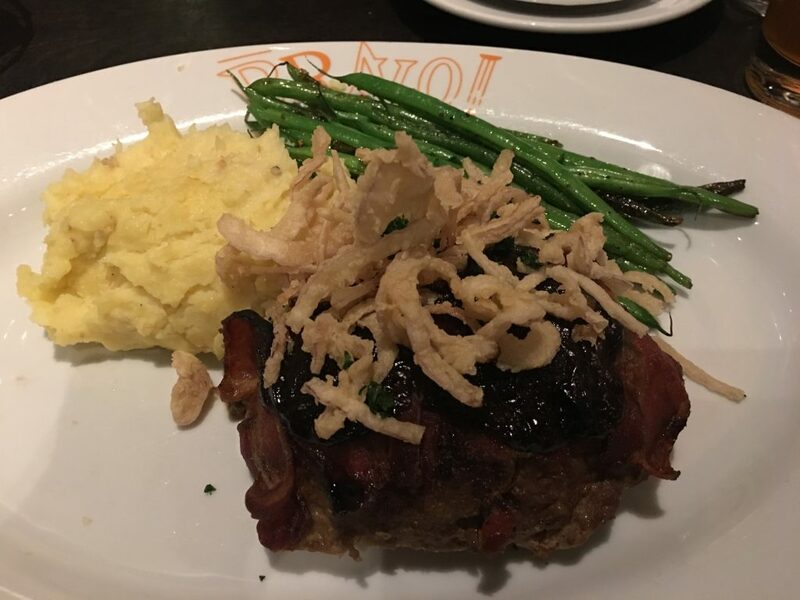 Daniel got the Bacon Wrapped Balsamic Meatloaf. I tasted the Mashed Potatoes and oh my word, I could have made a meal of JUST that! I got the Stuffed Shrimp Scampi. Normally when you think of Shrimp Scampi, you think noodles, well at least I did. 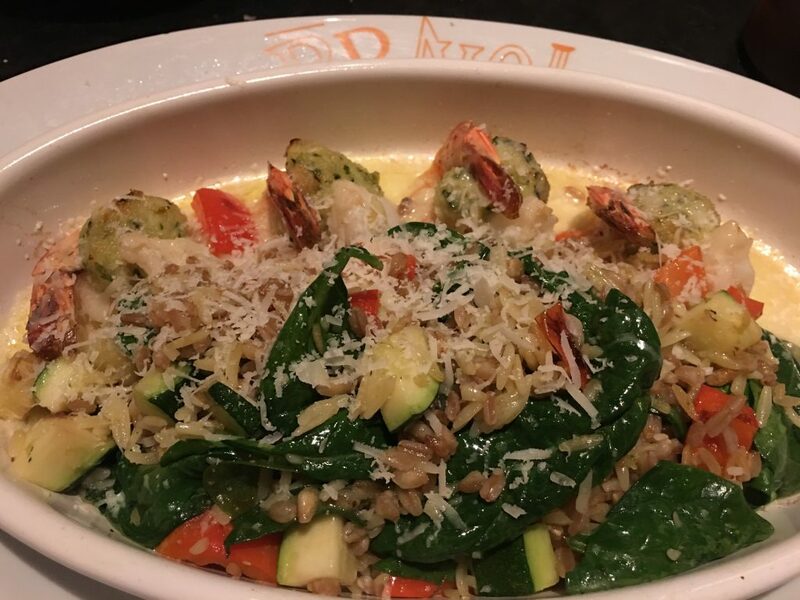 But this comes with Orzo and veggies and seriously… I don’t think any Shrimp Scampi will compete with this one. It was unbelievably good. The stuffed shrimp had an incredible garlic flavor, everything about it was just an explosion of flavor. Perfectly prepared. Just looking at these pictures makes me want to go back and get it again! Topped with some fresh parmesan everything about it was just perfect. The zucchini, the bell peppers, everything. So tasty. 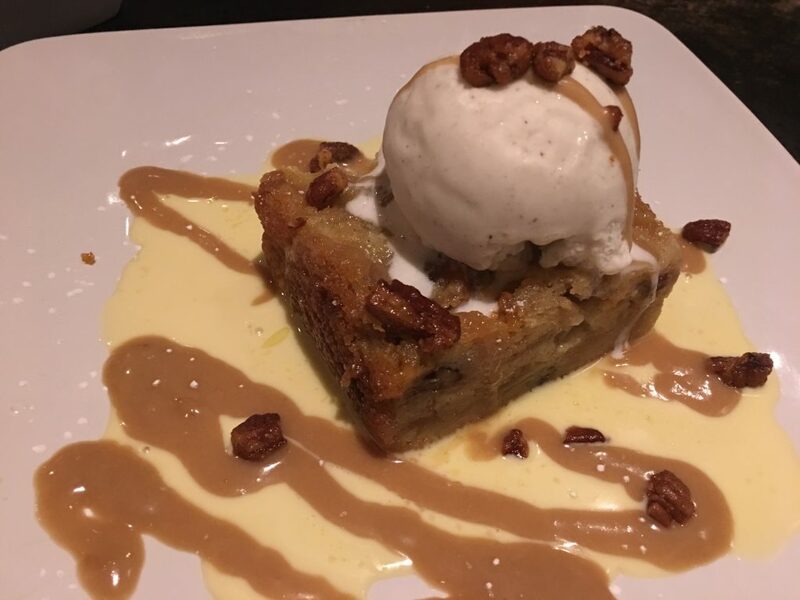 You can also opt to enjoy BRAVO’s delightful new dessert, Butterscotch Pecan Bread Pudding, which is served warm, and features vanilla bean gelato, caramel, anglaise, and spicy pecans, for an additional $5.99. After the meal that we ate, I could barely make it through this one, but it was a perfect ending to an incredible meal. I may or may not have had to unbutton my pants by the end of this meal….